this afternoon's crafting session combined some of things that seem to really be my jam lately - purple, distress inks, lots of essentials by ellen products and flowers...all into one card! and i created a 3D flower with a heart die totally inspired by this cool project from mondocherry. i stamped flowers from the essentials by ellen clear stamps, bohemian garden set in versafine onyx black, leaving room for where i wanted to place my 3D flower. next i added some splatter with shaded lilac distress ink and set it aside to dry while i created my 3D flower. i die cut the small heart from the essentials by ellen designer dies, home & heart set 12 times and folded the hearts all in half. then i adhered them in a circle to create a flower. 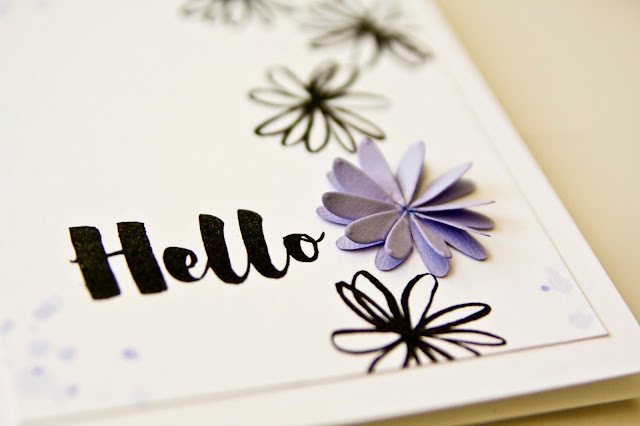 then i added "hello" from the essentials by ellen clear stamps, mondo magnolia set. 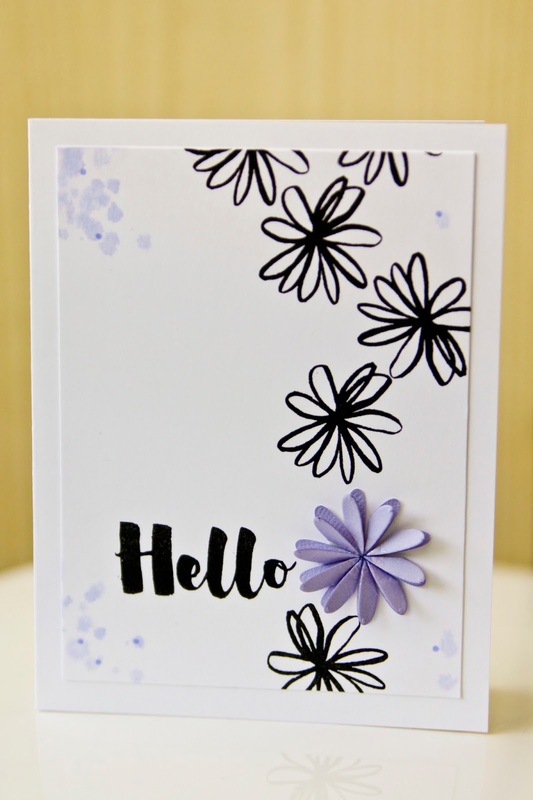 i added some little dots from the essentials by ellen clear stamps, bokeh dots in shaded lilac on top of my splatter. finally i finished the card with just a little wink of stella along the edges of the 3-3/4 x 5 rectangle & the 3D flower. and i adhered the whole thing to the card.